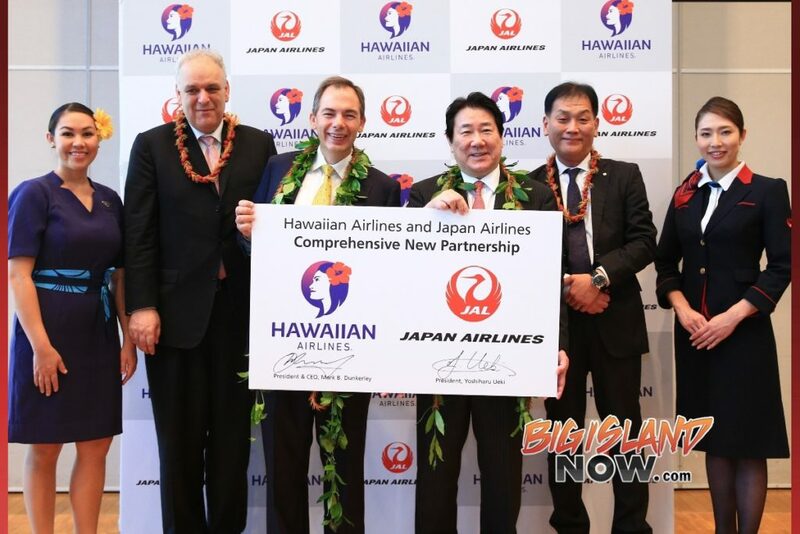 Two of the most popular airlines that travel between Hawai‘i and Japan signed a comprehensive new partnership agreement today that will greatly enhance travel. The agreement between Hawaiian Airlines and Japan Airlines, signed at a ceremony in Tokyo, takes effect March 25, 2018 (subject to government approval). The agreement provides for extensive code sharing, lounge access and frequent flyer program reciprocity. JAL guests will have unlimited access to Hawaiian’s vast neighbor island and Japan-Hawai’i network, including non-stop flights between Sapporo and Honolulu. Hawaiian Airlines will have full access to JAL’s domestic network, which includes Nagoya, Fukuoka, Sendai and Aomori. 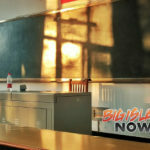 Hawaiian’s Japan-to-Hawai’i flights will be offered as new options within Japan Airlines’ wholly owned subsidiary, JALPAK, a high reputable package tour operator in Japan. 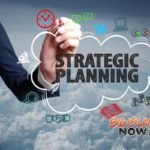 JAL Mileage Bank and HawaiianMiles members will be able to earn miles on the codeshare flights. Further opportunities for accrual and redemption of mileage will be expanded at a later date. Guests will have access to both airlines’ lounges, and when Hawaiian has completed its planned relocation to Terminal 2 at Tokyo Narita Airport, guests of each airline will be able to seamlessly transfer between each carrier’s networks. For more information about Japan Airlines, visit www.jal.com/en/outline. 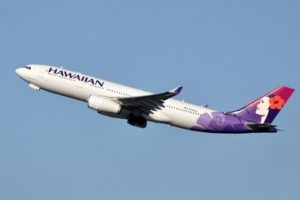 Additional information about Hawaiian Airlines is available online.